Posted January 3, 2017 by Louis Rabinowitz & filed under Opinion. AMC is a network best known for its big hitters – The Walking Dead, Breaking Bad and Mad Men, which have defined a great deal of the last decade in television. Yet some of its greatest successes aren’t receiving the mass mainstream attention and viewing figures that the Walking Dead shows rake in. 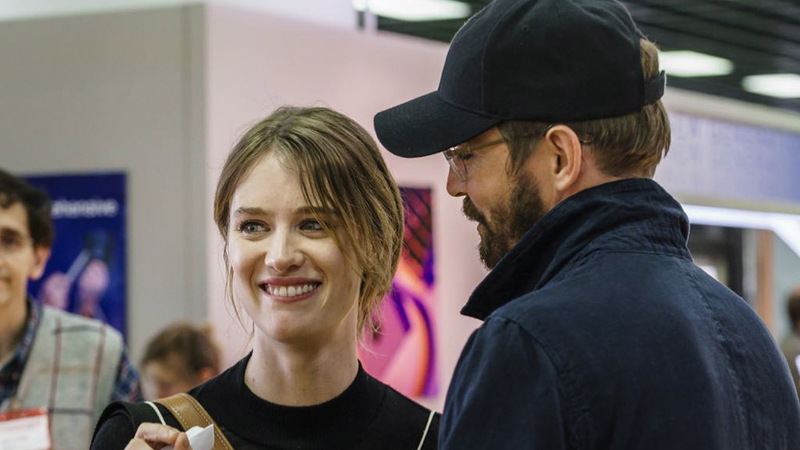 Case in point, Halt and Catch Fire, a drama that’s never truly caught on with the viewing public, eking out renewals on the strength of its critical acclaim while the ratings continue to trickle down further from their low starting point. Yet Halt is richly deserving of a far greater status than it’s managed to achieve. Set within the 1980s tech boon as tycoons and innovators jumped aboard the computer bandwagon, it’s a twisty, complex tale that presciently charts the creation of the tech-obsessed society we live in today as the heroes find themselves at the vanguard of portable computers, online gaming and far more. That brief description may make it sound like a dry show filled with wearying technobabble, but suffice to say, that’d be completely inaccurate. While Halt never dumbs down its technological subjects, presenting its characters as believably intelligent experts in their field, it’s striking just how human a show it is, using ideas of technology to explore the human struggles to connect with others and forge real relationships that fuelled this innovation. Those struggles arguably define the central quintet of characters who emerge after the more antihero-based first season – unpredictable ideas man Joe, socially awkward coder Cameron, self-destructive hardware expert Gordon, ruthlessly intelligent entrepreneurial figure Donna and good-hearted father figure Bosworth. Starting with those familiar archetypes, Halt over time becomes gradually more proficient at diving into the hopes, fears and insecurities of these characters, exposing their ugly and toxic sides while always highlighting reasons to keep sympathising with their desperate attempts to stay ahead of the technological curve. By the third season, all main characters are so well-realised, so utterly believable that even scenes with the characters just hanging out, or having a brief dispute about differing opinions are pleasurable and compelling to watch – the show creates real investment in these characters, but never allows the viewer to settle into a pattern of sympathising with one over the other at any point. 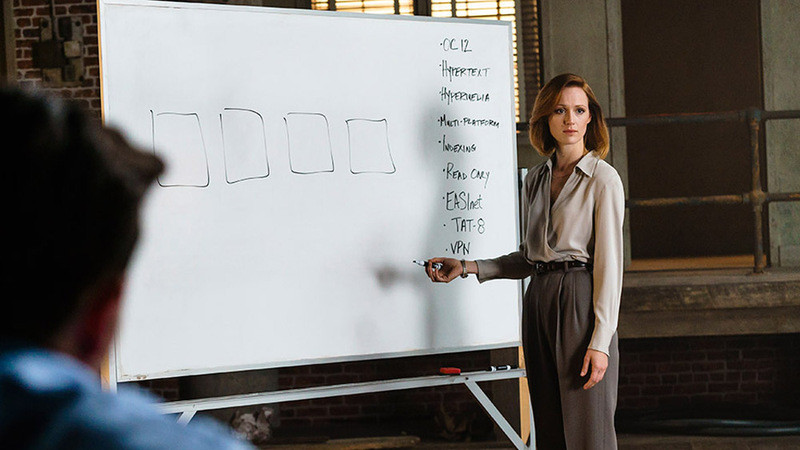 As clichéd as it sounds, there really aren’t any heroes or villains in Halt and Catch Fire – just people doing what they believe in, occasionally lifting the world around them while just as often creating unfixable problems for those who trust them. Granted, Halt takes a while to get going. The first season is widely acknowledged as an inconsistent season of television that came out attempting to ape the formula of the male-led anti-hero dramas that catapulted AMC to the success it enjoys today. Yet once Halt changes its focus, broadening its scope to become a true ensemble drama in which the characters are fundamentally working to make the world a better place through their invention, it becomes drama that’s relentlessly involving in a way that’s distinctly different to a lot of its counterparts, in that it’s predicated on a sense of idealism, a sincere belief in a better future that ultimately fuels all the characters in their actions. The optimism isn’t overstated, and there’s plenty of intense character drama to go about as the characters struggle to find happiness no matter how much they change their lives to fit their desires – drama that can often end up in bruising conclusions, such is Halt’s willingness to let its characters make realistic, but catastrophic errors of judgement. Nonetheless it’s a deeply refreshing thing nonetheless to have a show that offers a message of hope for the future rather than grim pessimism. By the end of the recently concluded third season, it’s up there with the very best shows on television. And, thankfully, given the show was on borrowed time, it’s being allowed to finish its story on its own terms next year with a fourth and final season, allowing the creative team to finish an endeavour that could just as easily have been shot down well before it reached its full potential. Despite the limited scope and seeming lack of narrative ambition, this is a show that’s quietly capable of great things that other, flashier dramas simply couldn’t pull off, and it’s well worth diving in just to be surprised at how compelling and audacious the narratives can be, and how committed Halt is to huge, game-changing twists that stick. The status quo varies hugely from season to season, and seeing just how rapidly the characters’ fortunes and beliefs can transform pays off all of the patient, methodical build-up that’s entertaining in its own right. If you’re a little tired of the morally murky anti-hero dramas that have come in droves after shows like The Sopranos and Breaking Bad, then Halt and Catch Fire is an ideal antidote; a deftly balanced blend of weighty character drama and thoughtful introspection on humanity that’s gone frustratingly under the radar in its brief time on the small screen. All three seasons of Halt and Catch Fire are now streaming on Amazon Prime Video in the UK. Win ‘Halt and Catch Fire’ on DVD!